Desc: Landstrom's Black Hills Gold Sterling Silver cuff bracelet. 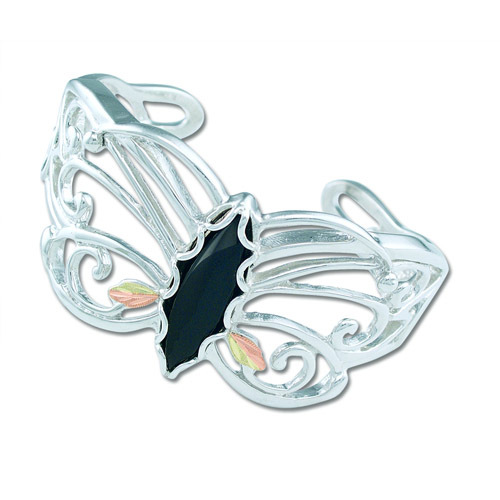 A butterfly is mounted in silver in the center with a Black Onyx mounted as the body of the butterfly. The bracelet is lacy as it is open with much filigree work. Made in the United States of America.